The oyster shapes were fabricated and formed by hand with silver wire and finished to a smooth, high shine finish. It is a labor intensive and time consuming process, but the unique end result is stunning. The ball earring back represents a pearl that with good fortune one may find in an oyster. 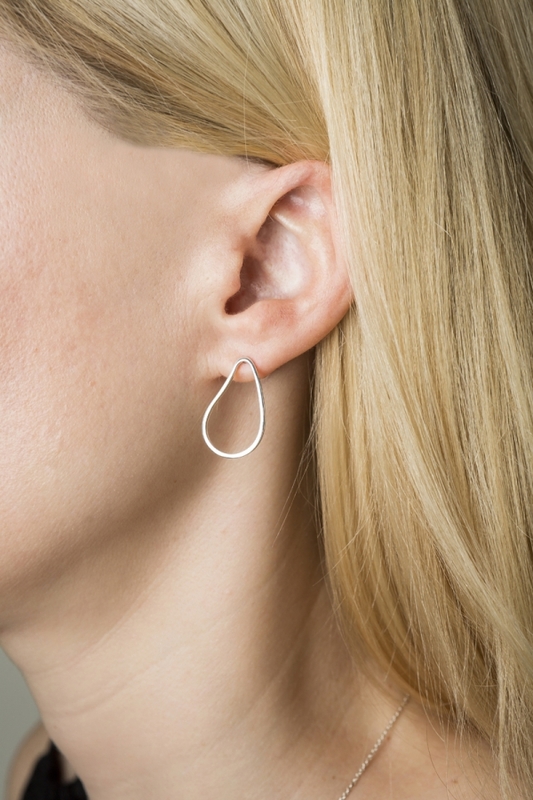 The 7mm ball earring back has a spring-ratchet internal locking mechanism that locks onto the notch on the post. 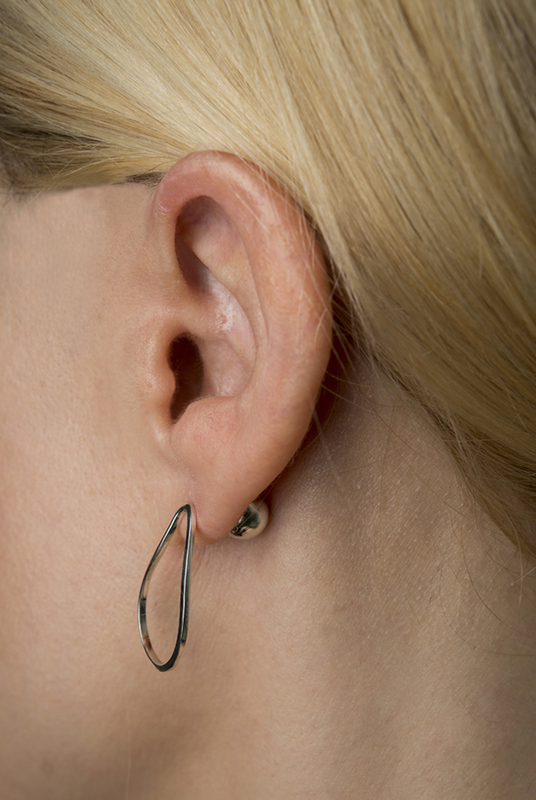 To release the ball earring back, gently pull straight back and it will easily slide off of the post.